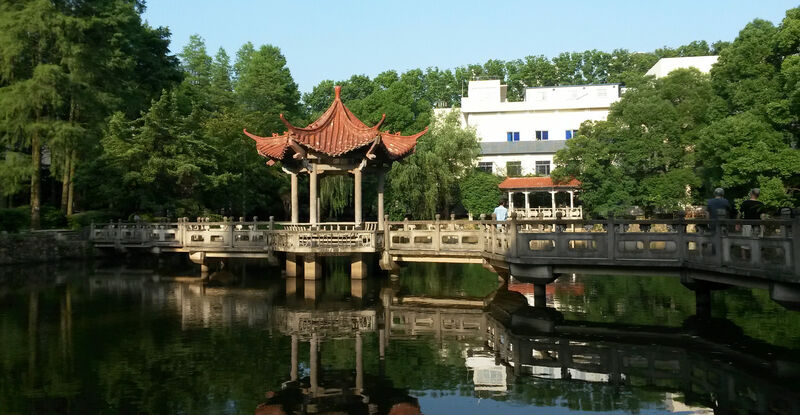 In June, the State Key laboratory of Information Engineering and Surveying, Mapping and Remote Sensing (LIESMARS, http://www.lmars.whu.edu.cn/en/) launched their 2016 Geoinformatics Summer School at Wuhan University, China. This year’s courses treated topics ranging from technologies and paradigms for web mapping and online GIS to night-time remote sensing and GNSS. Participants from Africa, Europe and Asia, including three participants from Heidelberg University (two members of the Geoinformatics research group and one student of Geoinformatics), enjoyed ten days of excellent lectures, hands-on practice, and group project work in a highly innovative and multicultural setting. Geoinformatics Summer School at LIESMARS is held every year. It is a great opportunity to meet with students from all over the world, work together on new ideas, and widen your scientific as well as cultural perspective.